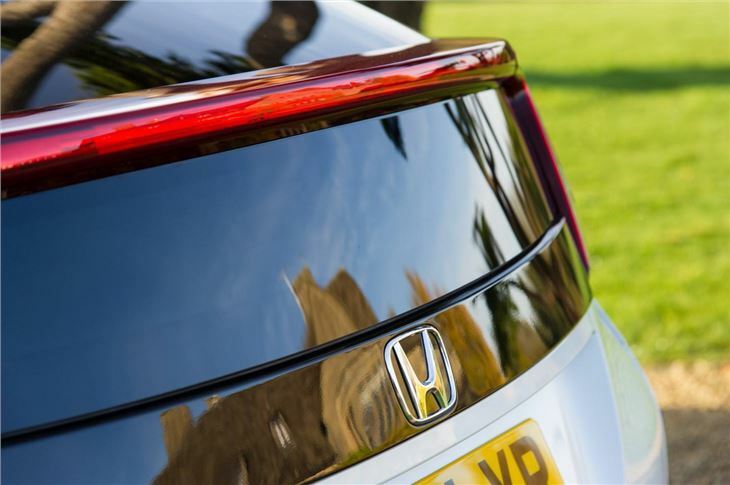 Car manufacturers will typically facelift a model three or four years into its life, so the fact Honda has seen fit to work on improving its Civic a little more than a year after it was launched is something of a surprise. 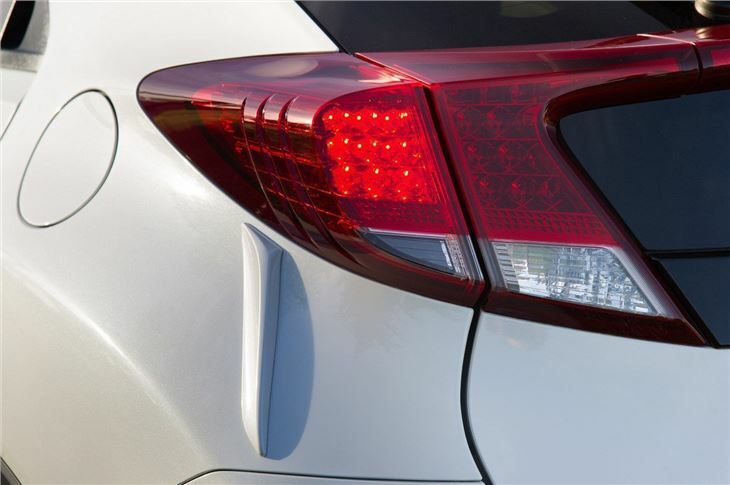 But this isn't a cosmetic facelift, the tweaks are far more fundamental. The changes are in response to feedback from the media, dealers and current owners. And that feedback has not been positive. 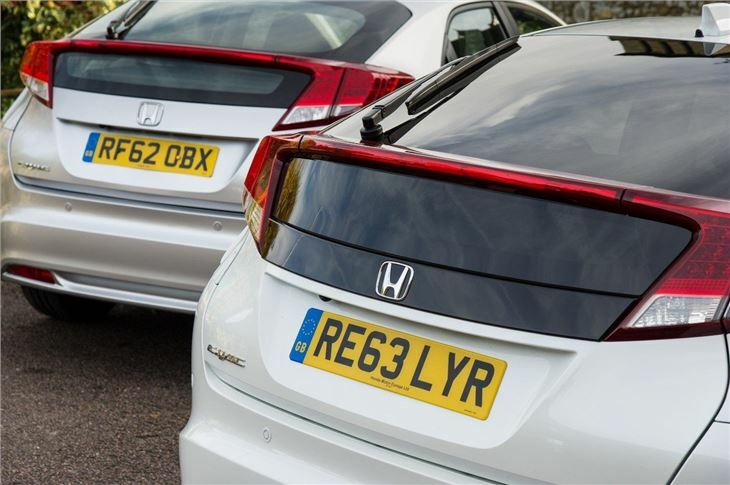 Honda says it's not down to slow sales sales but the opinion of many is that the new Civic isn't as good to drive as its predecessor. 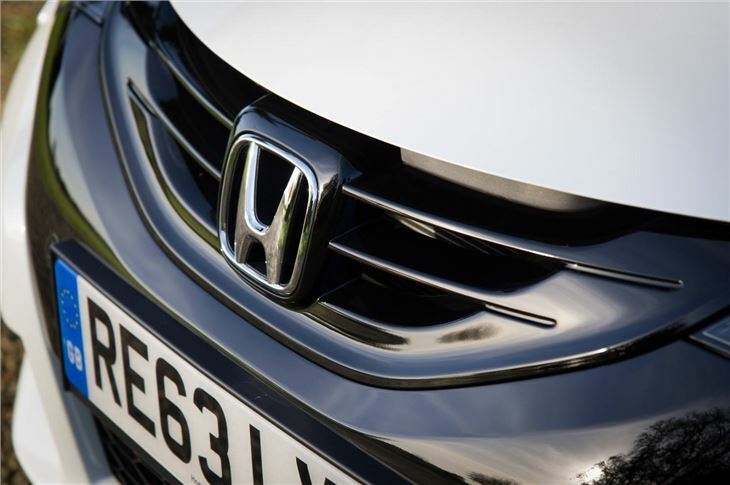 Since the car is built in Swindon, Honda has been able to react quickly to improve the car in an attempt to address some of those criticisms. The result is a very minor cosmetic makeover but – more importantly - improvements to the chassis and steering. 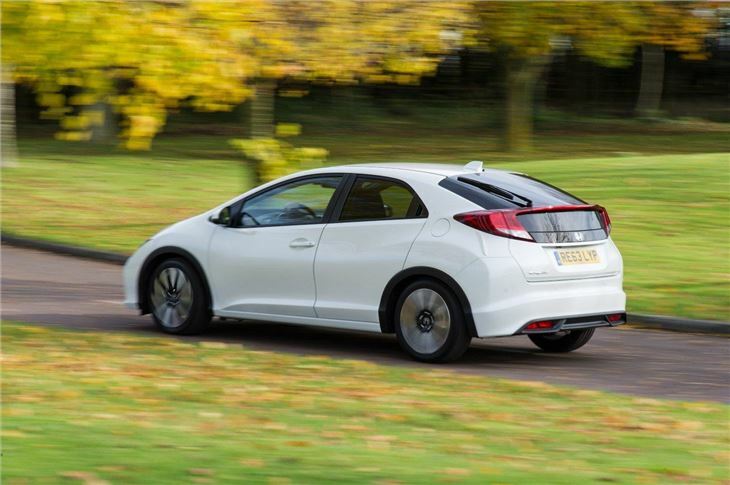 Given the less-than-sharp handling of the new Civic at its launch in 2012, the changes can only be a good thing - and Honda was so convinced with its efforts it let us drive the new car and old car back-to-back. 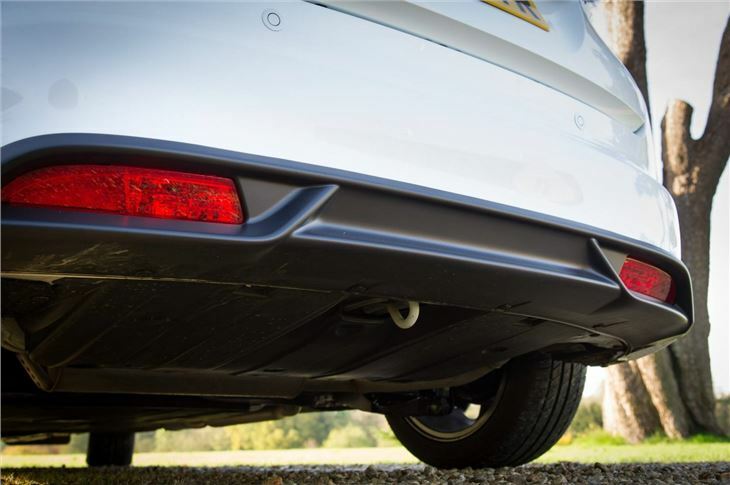 The tweaks are fairly simple - the dampers and the weight of the electromechanical power steering have been adjusted, resulting in a noticeably firmer ride – although thankfully it’s not been rendered uncomfortable. The steering now feels sharper and gives the Civic a sense of agility that was previously absent. It’s not a radical change but it’s enough to inspire more confidence on a country road. Allied with a stiffer suspension set up, the tweaked car feels more planted and settles into corners neatly and more quickly. 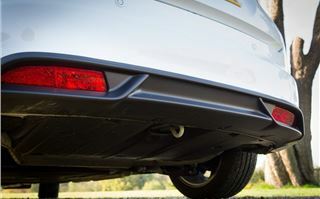 It’s not all about ‘feel’ though – the upgrades make for more traction and more accuracy, allowing you to carry more speed if you're a keen driver. 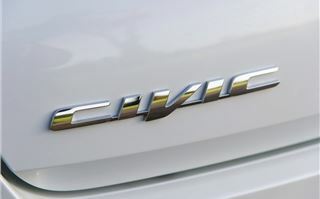 We drove both the outgoing and updated Civic with the 1.6 i-DTEC diesel engine. 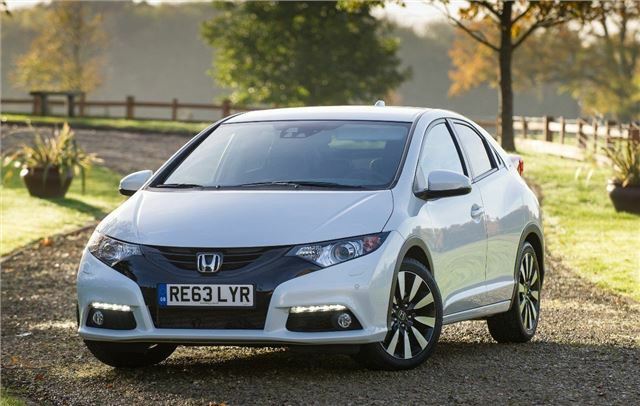 It's a versatile engine, offering plenty of in-gear torque, low emissions and good fuel economy. The engine line up itself hasn’t been changed, though – the upgrades to the Civic are restricted to the chassis and the styling. It’s a refinement rather than a revolution. 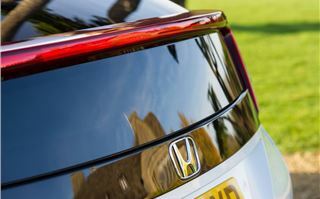 Cosmetically Honda hasn’t done all that much. The grey inlay in the front bumper has been refinished in gloss black, the window tint is darker and the rear diffuser has been redesigned. There's also more gloss black on the tailgate and the rear light clusters are now smoked. 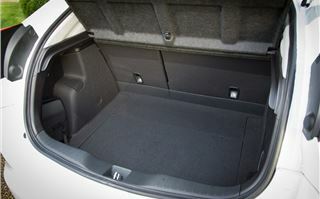 Inside there are some extra chrome details and the upholstery stitching has been redesigned and finished in white. 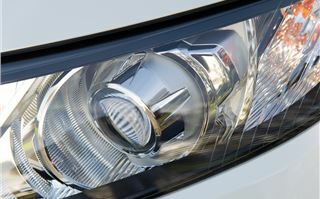 Finally, a new alloy wheel design is available and there's been a minor tweak to the headlight design. The difference between old and new is subtle but it’s noticeable. Honda has also managed to keep abreast of developments in active safety - the updated Civic will be available with technologies like lane departure warning, blind spot monitoring, auto-dipping headlights, forward collision warning and crossing traffic warning to assist when pulling out of junctions. 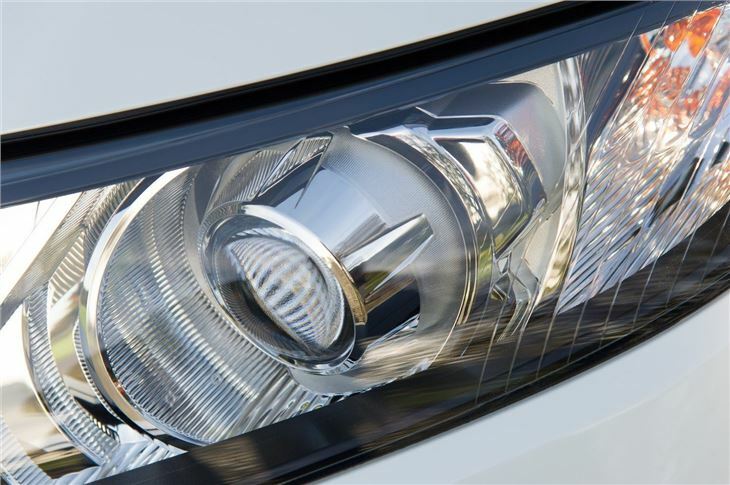 Unfortunately the car we tested was left-hand drive, so its sensors were set up for continental roads and consequently couldn't be tested properly in the UK. Practicality remains unchanged but then there wasn’t much to improve on in the first place. 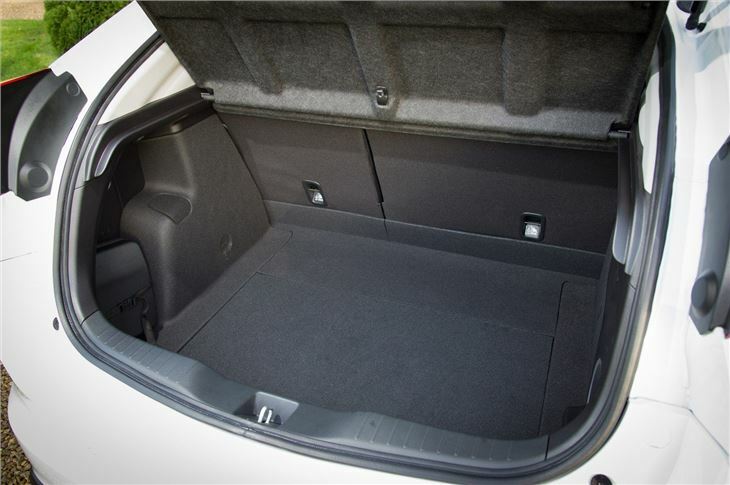 The brilliant rear seats are present and correct – they fold up for loading tall items on the cabin floor or they fold flat for carrying long items, while the boot itself has a false floor with a clever mechanism for raising and lowering that requires no effort or fiddling. 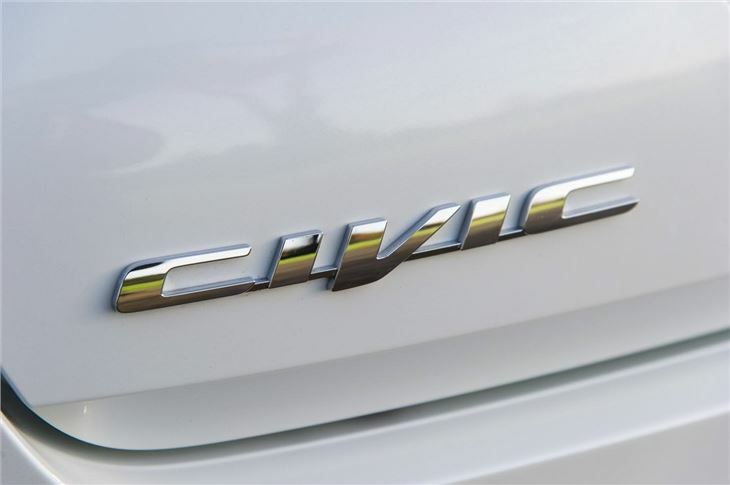 The changes don’t make the Civic a perfect car, though. 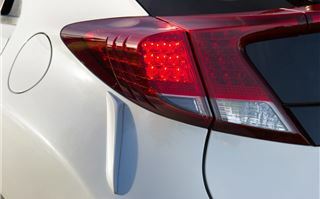 It’s impossible to address the poor rear visibility – caused by a split rear screen - without a complete redesign of the hatchback. There’s also a noticeable disparity between the materials at the top and bottom of the dashboard – there’s a soft touch covering high up, but lower down the plastics aren’t exactly appealing or plush, even if they are hardwearing. Another minus point is the infotainment and sat nav screen, which feels like a tacky aftermarket unit and has a messy button arrangement. The space age dashboard, with its split-level layout, really does look great and it sets the Civic apart from other family hatchbacks, so why finish it off with an ugly touchscreen system? 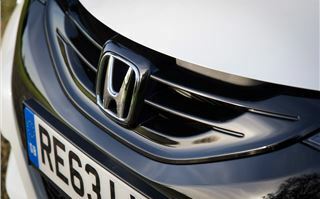 It’s perhaps harsh to pick fault too much though – Honda has listened to the criticisms of experts and customers and it has set about addressing them as quickly as possible. 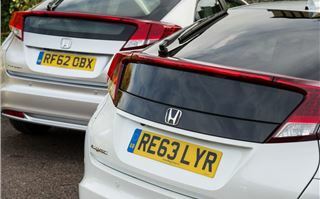 While the tweaks might be minor they’re enough to boost the appeal of the Civic and keep it competitive - it’s now better to drive and it looks more upmarket.